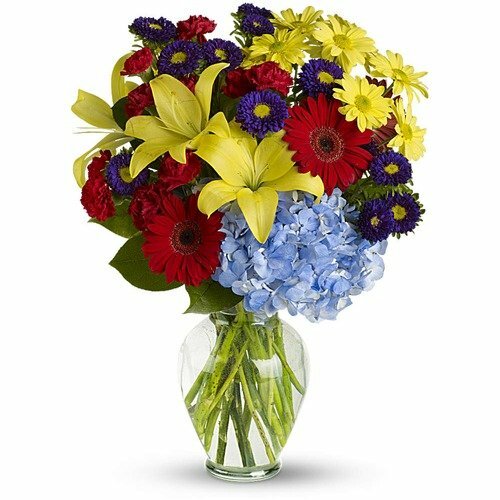 Celebrate her uniqueness with a sparkling clear glass vase filled with flowers in a familiar blend of colors - topped with a surprising burst of blue hydrangea. A bouquet that is delightfully different - just like her. * The 'Smiley Face' Bouquet attracted my attention, and I completed the purchase in 5 minutes.